JOHNNY MOPED ON THE ROAD! Original Croydon punks JOHNNY MOPED have announced a handful of dates for the Autumn as well as two Christmas shows. 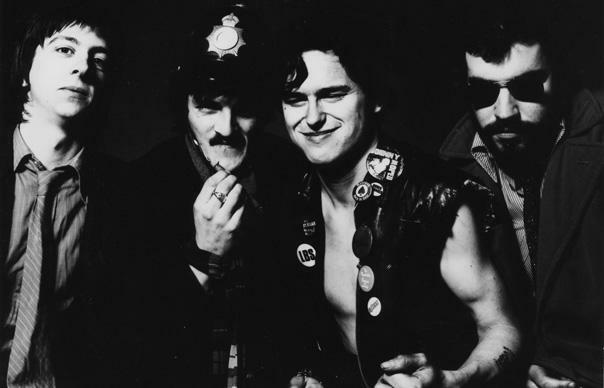 The band, who originally formed in 1974 and at one time or another featured Captain Sensible and Chrissie Hynde in their line-up, were the subject of a documentary, Basically Johnny Moped, by Sensible’s son Fred Burns in 2013 and released a brand new album It’s A Real Cool Baby through Damaged Goods in March this year. The band have five dates lined up, including a show at London’s 100 Club – with THEE JEZEBELS and a special mystery guest! – plus an all-dayer at Leeds Brudenell Social Club with XSLF, CYANIDE PILLS, GEOFFREY OI!COTT and more. ‹ THE BIKE AND THE BROTHERHOOD!